German software maker SAP is shifting its focus to advanced technologies and as a result is in restructuring mode, reducing its headcount by thousands. In late January SAP revealed it would lay off about 4,400 workers as it focuses on growth areas which the software company identified as artificial intelligence, the Internet of Things, blockchain and quantum computing. In a press release in which it reported fourth quarter and 2018 full-year earnings it said it is engaging in its first restructuring since 2015. The aim is to simplify the structures and processes of the company and to allocate resources to meet the changing needs of customers. SAP said at the time restructuring expenses are projected to be close to $1 billion with most of the overhaul taking place in the first quarter. SAP will put the annual cost savings back into the growth areas it identified. In an interview with the Wall Street Journal William McDermott, chief executive of the software company said the workforce reductions will come via a mixture of new assignments, early retirements, and exit packages. At the same time it's laying off employees, it expects to the end the year with more than its current employee count of 96,500. “We are building a company that is a fighting machine, that is ready to go into the marketplace against any dot-com from America, and win,” he told the paper. 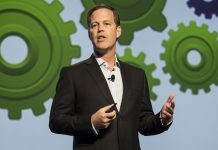 The restructuring comes on the heels of SAP’s November deal to acquire Qualtrics International, which makes experience management software. SAP stepped in with an $8 billion offer just as it was readying its initial public offering. It marks the second largest acquisition for the German software maker which spent $8.3 billion in 2014 to acquire Concur the travel expense software company.